PrePay price: $2.90 or less! 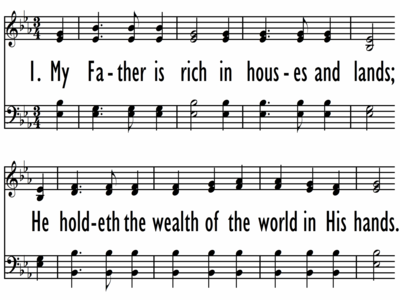 He holdeth the wealth of the world in His hands! His coffers are full, He has riches untold. I'm a child of the King. A sinner by choice, an alien by birth! 4 A tent or a cottage, why should I care? They're building a palace for me over there.